When I am throwing pots at Carondelet Pottery, I usually take a break and sit in the garden. And when I do, I make a choice. 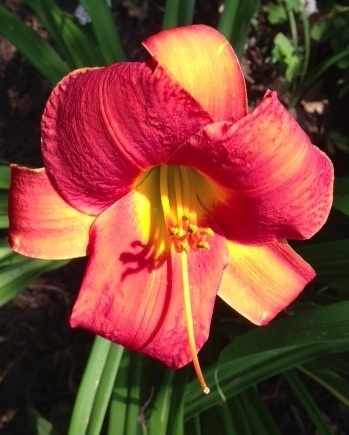 I can choose to focus on the weeds that need pulling or the fence that I have been meaning to paint, or I can choose to see day lilies blooming. Every day we have times when we choose how we see the world. Later that morning as I was emptying the trash at the studio I saw two men fishing for cans in the dumpster. This presented me with several choices. I can choose to ignore them. I can choose to inform them in no uncertain terms with only a glance, not words, that they shouldn’t be fishing in the dumpster and that they had better not knock trash into the alley. Which is what I did. And they responded with “Good morning” as well. We had a brief conversation about the beautiful weather, the nice people at the Methodist church a few blocks away, and the price of scrap metal. All three of us made a choice about how we saw each other that morning. And it was the beginning of a lovely peaceful day. 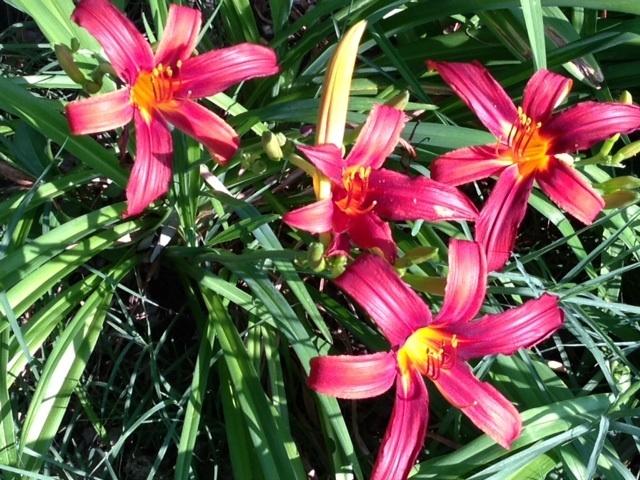 Wow, from day lilies to dumpsters! Beautiful way of opening my heart and mind.